Skyline DKI offers the best and most efficient flooded basement cleanup services in the Greater Chicago and Milwaukee areas! 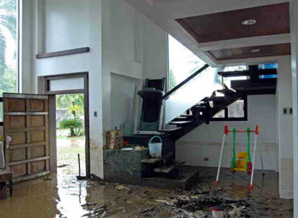 Our highly trained team of water damage repair experts will work quickly to extract all the standing water from your home and to make sure the area is completely dried. Our team will also dry, clean, and sanitize any water-damaged valuables (from electronics to bedding) and they’ll reconstruct any severely damaged areas of your home. By the time we leave your property, it’ll be like the basement flood never even happened! Home and business owners throughout Chicago, Milwaukee, and the surrounding areas can trust Skyline for all their flooded basement cleanup needs!